porch or driveway. You will sometimes notice a void when you walk on the concrete, and you can feel it give under your feet. The obvious signs of a void can be seen. Concrete Raising Systems can fix this problem by drilling small 5/8” holes in the concrete and injecting our polyurethane foam into the void to strengthen the concrete and prevent it from cracking and breaking. Polyurethane is added to the sides of the concrete slab. We then recommend adding dirt or landscaping next to and on top of the exposed void filling. UV rays from sunlight can damage the integrity of the polyurethane fill over time. 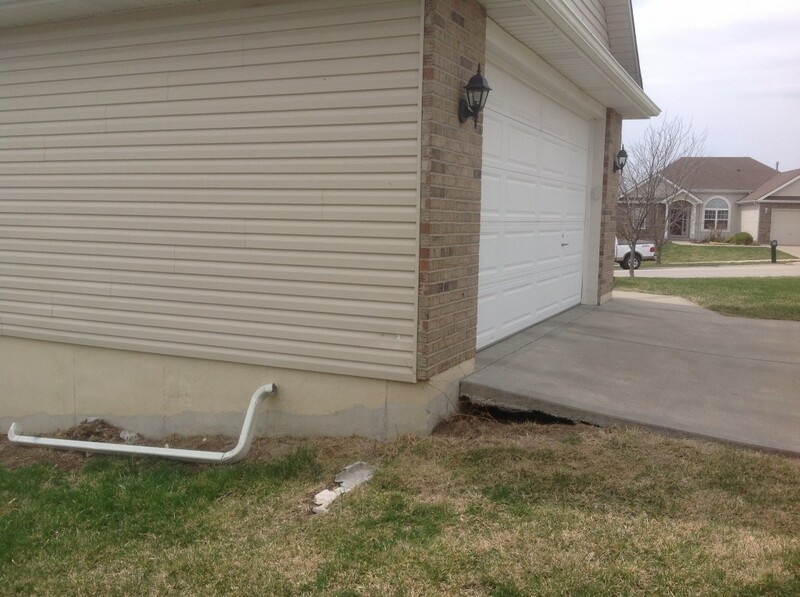 We think every job is important, and no concrete repair job is too small! Call us! Before you buy a home, make sure you brush away the mulch from your sidewalk to see if any voids exist. It is easy for sellers to hide (unintentional or intentionally) a void by adding mulch around the sidewalk to cover it. Finding out you bought a home that had a void can add expense to your move in process and be a disappointment in an otherwise, happy occasion. 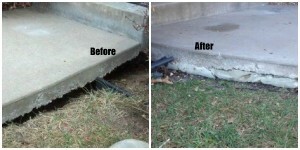 We not only can fill your void, but we lift and repair sidewalks, driveways, garage floors, pool decks and patios. The longer you wait to have the problem fixed the more expensive it may be to fix. Wait too long and you may have to replace your concrete altogether and that will certainly be more expensive than having us raise and repair it! Contact or call us today (816) 419-8306. Estimates for void filling, as well as estimates for everything we do, are free! And we do not ask for a deposit before we do the work!